Manchester (United Kingdom) (AFP) - Manchester United manager Ole Gunnar Solskjaer admitted his side were fortunate to grab a much-needed 2-1 win over West Ham on Saturday courtesy of two Paul Pogba penalties. 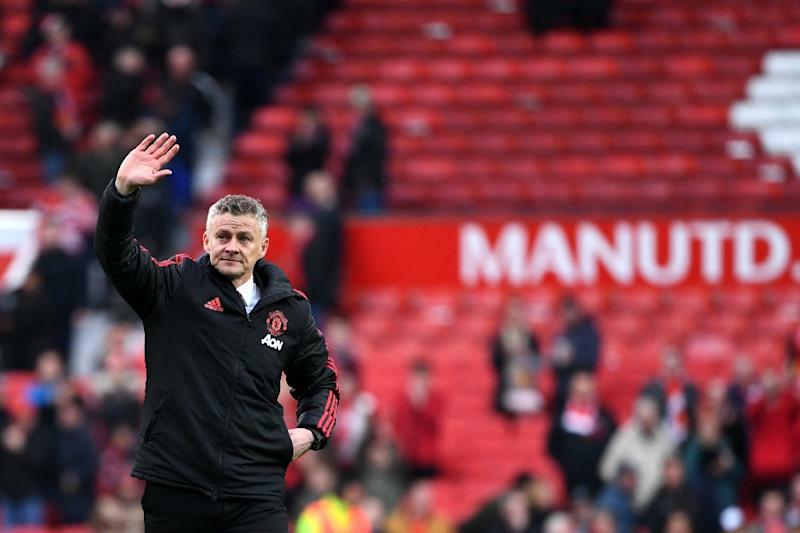 Solskjaer's men had lost four of their previous five games in all competitions and could easily have suffered another damaging defeat to their chances of a top-four Premier League finish. "They played better than us, it is fair to say, I don’t think anyone will disagree," said the Norwegian. "We got away with it. Sometimes we have lost when we should have won, so over a season it evens itself out." Solskjaer left Marcus Rashford and Scott McTominay on the bench among five changes from the side that started Wednesday's Champions League quarter-final, first leg defeat to Barcelona. "Playing on Wednesday, and today and again on Tuesday played a major factor," he added. "We got away with it, got three points, in a few years no-one will remember how we played if we finished in the top four. "We rested a couple, thankfully, we got through it and we will be ready for Tuesday. With a performance like this we all know we will struggle in Barcelona, and we will have to improve."